If you have a long vacant or recently vacated property, one of your main concerns will be the threat of squatters and a squatter cleanup. The longer a squatter cleanup is left, the worse it will get. Expecting a homeowner or relatives to help in the cleanup in such situations can be a very difficult experience. Due to the unsafe nature of squatter cleanup, it is strongly recommended to use the services of a bio hazard cleaning company. They will access the situation and explain to you the process as each project is of a different scale and has unique requirements. Their adequately trained and certified professionals will clear, remove and dispose of debris and dangerous items. They will ensure your property is disinfected, decontaminated and hazard free. Some tenants could leave your place in a poor, uninhabitable state and usually with large amounts of waste which is extremely hazardous and difficult to dispose of. If tenants have used the house for illegal activities they would have left behind harmful and illegal equipment like syringes, drug paraphernalia and many other things that could easily cause bacterial infections. Other things left behind can be bodily fluids, human waste or blood spills which can lead to infectious diseases like AIDS and Hepatitis. The post-cleaning treatment is also equally important. This will help to deal with the bacterial infections and also get rid of the stench that is left behind. Biosite Cleanup is fully equipped and has trained professionals to deal with all the various waste and dirt squatters and tenants can leave behind. 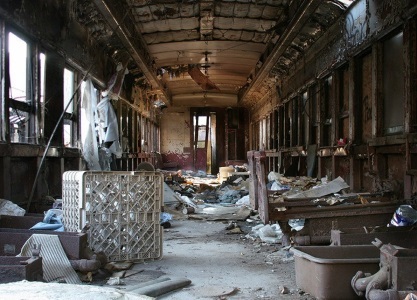 No matter how bad the situation is, we can help clean up and restore your property to its former glory. Call 0409037634 right away or visit us at https://biositecleanup.com.au/services/squatter-cleanup/ if you are facing a squatter cleanup problem. Our team will come to your rescue!